Approved duckbill respirators feature a 95% filter efficiency level and provide protection against particulate aerosols free of oil. 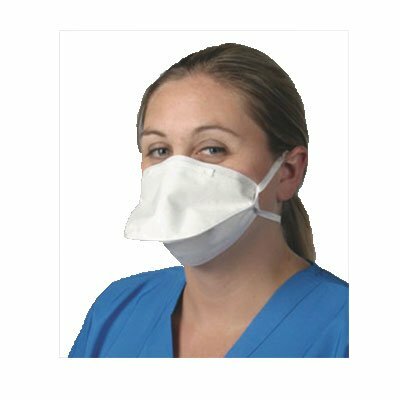 Complies with OSHA Bloodborne Pathogens Standard when properly fitted to face and worn with proper protective eyewear. Maximized air chamber, lightweight construction and soft inner lining contribute to user comfort and breathability. Adjustable nosepiece for custom fit. Secure seal against most face sizes and shapes.